Novel natural compounds became the new promising source for alternative drug production for cancer treatment. Several studies have reported that different species of pine genus show cytotoxic activities against various cancer cell lines. In the present study, the possible cytotoxic and apoptotic effects of the endemic Pinus nigra ssp. pallasiana var. şeneriana (PS) extract in MCF-7 breast cancer cells were evaluated. Cell viability was determined via XTT assay and verified by live/dead viability/cytotoxicity assay. Apoptotic effect was investigated by mitochondrial membrane potential (MMP) assay. Expression of apoptosis related proteins after treatment with PS extract was detected by apoptosis array. PS extract treatment reduced the viability of MCF-7 cells in a time and concentration-dependent manner. Apoptosis was induced and MMP was decreased in MCF-7 cells by 48 h treatment. Bcl-2, cIAP-1, cIAP-2, Survivin and XIAP protein levels were reduced by 2.8-, 3.2-, 2.8-, 2.5- and 2.2- fold, and Bad, Bax, Cytochrome c and SMAC/Diablo protein levels were induced by 4.2-, 3.0-, 3.6-, and 4.0- fold in MCF-7 cells by PS extract treatment. This report describes the cytotoxic and apoptotic effects of the extract of endemic Pinus species on MCF-7 cells for the first time. Although the isolation and structure elucidation of the active compounds is needed to be performed in the further studies, it is likely that PS extract may be a potential candidate for the development of novel therapeutic anticancer compounds for breast cancer. 1. Jemal, A, Bray, F, Center, MM, Ferlay, J, Ward, E, Forman, D, Global cancer statistics. CA: A Cancer Journal for Clinicians 2011, 61, 69-90. 2. Atmaca, H, Bozkurt, E, Cittan, M, Tepe, H, Effects of Galium aparine extract on the cell viability, cell cycle and cell death in breast cancer cell lines. Journal of Ethnopharmacology 2016, 186, 305–310. 3. Wagner, HK, Wolff, PM, editors. New Natural Products and Plant Drugs with Pharmacological, Biological Or Therapeutical Activity: Proceedings of the First International Congress on Medicinal Plant Research, Section A, Held at the University of Munich, Germany, September 6–10, 1976. Springer Science & Business Media; 2012 Dec 6. 4. Lim, UK, Yoo, JJ, Lee, JY, Pine needles. Health Care with Pine Needles 1993, 52-83. 5. Kwak, C, Moon, S, Lee, M, Antioxidant, antimutagenic, and antitumor effects of pine needles (Pinus densiflora). Nutrition and Cancer 2006, 56, 162-171. 6. Rezzi, S, Bighelli, A, Mouillot, D, Casanova, J, Composition and chemical variability of the needle essential oil of Pinus nigra subsp. laricio from corsica. Flavour and Fragrance Journal 2001, 16, 379-383. 7. Li, K, Li, Q, Zhang, T, Han, Z, Li, J, Zheng, F, Procyanidins from Pinus koraiensis bark inhibits HeLa cell growth by inducing apoptosis and reducing survivin protein expression. African Journal of Biotechnology 2011, 10, 7766-7771. 8. Feng, WH, Wei, HL, Liu, G T, Effect of pycnogenol on the toxicity of heart, bone marrow and immune organs as induced by antitumor drugs. Phytomedicine :International Journal of Phytotherapy and Phytopharmacology 2002, 9, 414-418. 9. Wang, Q, Rong, Z , Teng, J, Takaishi, Y, Duan, HQ, Two new antitumor diterpenes from Pinus sylvestris. Chinese Chemical Letters 2008, 19, 187-189. 10. Sıvacıoğlu, A, Pinus nigra J. F. var. şeneriana (Saatçioğlu) Yalt. (Ebe Karaçamı)’nın Yeni Bir Yayılış Alanı. Kastamonu Üniversitesi Orman Fakültesi Dergisi 2008, 8, 97-102. 11. Alptekin, Ü, Pinus nigra arn. ssp. pallasiana lamb . holmboe var. şeneriana Saatçi.’nin yeni bir yayiliş alani. 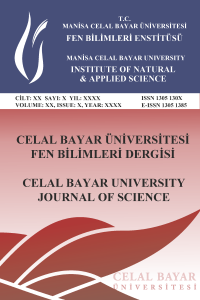 Journal of the Faculty of Forestry of İstanbul 1987, 37. 12. Unaldi, UE, Toroglu, S, Studies on antimicrobial activity of pyramidal black pine (Pinus nigra ssp. pallasiana var. pyramidata): an endemic plant close to become extinct. Journal of Environmental Biology 2009, 30, 197-204. 13. Kozan, E , Küpeli, E, Yesilada, E, Evaluation of some plants used in Turkish folk medicine against parasitic infections for their in vivo anthelmintic activity. Journal of Ethnopharmacology 2006, 108, 211-216. 14. Newman, D, Cragg, G, Natural products as sources of new drugs over the 30 years from 1981 to 2010. Journal of Natural Products 2012, 75, 311-335. 15. Kim, E, Jung, S, Choi, K, Ham, S, Cytotoxic effect of the pine needle extracts. Korean Journal of Food 1998, 30, 213-217. 16. Hoai, N, Duc, H, Thao, ADT, Selectivity of Pinus sylvestris extract and essential oil to estrogen-insensitive breast cancer cells Pinus sylvestris against cancer cells. Pharmacognosy Magazine 2015, 11, 290-295. 17. Sarvmeili, N, Jafarian-Dehkordi, A, Cytotoxic effects of Pinus eldarica essential oil and extracts on HeLa and MCF-7 cell lines. Research in Pharmaceutical Sciences 2016, 11, 476-483. 18. Ma, H, Lai, F, Xie, H, Wang, J, Wang, H, Involvement of the Bcl‐2 family members in Pinus massoniana bark extract induced apoptosis in HeLa cells. Phytotherapy Research 2008, 22, 1472-1476. 19. Ma, H, Liu, B, Feng, D, Xie, H, Li, R, Pinus massoniana bark extract selectively induces apoptosis in human hepatoma cells, possibly through caspase-dependent pathways. International Journal of Molecular Medicine 2010, 25, 751-759. 20. Huynh, H, Teel, R, Selective induction of apoptosis in human mammary cancer cells (MCF-7) by pycnogenol. Anticancer Research 2000, 20, 2417-2420.